In order to create awareness about the niche yet vital research and publishing sector, a community of Indian publishers, research institutions, and others involved in various aspects of research publication were brought together in one forum at Crossref LIVE held in Mumbai on December 5. 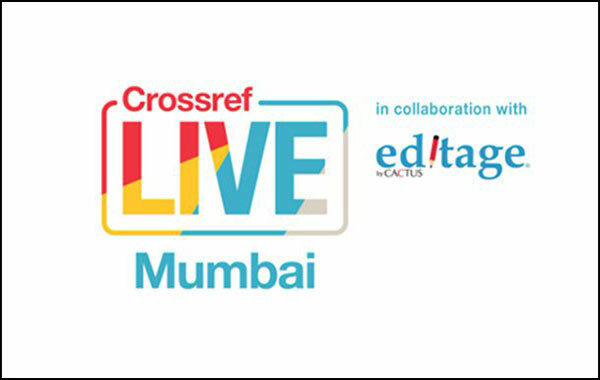 The first Crossref LIVE event in India was organised in collaboration with Editage, an arm of Cactus Communications, one of the world’s largest scholarly communication companies. Representatives from a number of existing members of Crossref, including professors of N.L. Dalmia Institute of Research and Management, Tata Institute of Social Sciences and directors of various publishers and journals graced the occasion with their presence. Such a platform not only creates awareness about the current scenario of research in India and across the world but also makes services supporting research and publishing available to the research community. This serves to also attract the youth towards research as a viable career path. The seminar also addressed a very real problem in the world of research publication – integrity and plagiarism. Apart from the lack of awareness about ethical publishing guidelines, the need to enhance the quality of research output from India and curb the growing problem of plagiarism are observed as some of the biggest hurdles in the Indian research landscape. On the occasion, Clarinda Cerejo, editor-in-chief, Editage Insights, highlighted how Editage helps publishers and journals get closer to authors through a range of education and publication support services. Patricia Feeney, head of Metadata, and Vanessa Fairhurst, international community outreach manager, Crossref, shared information about the new Metadata 2020 collaboration and new Crossref services like the Event Data service and Cited-by service. A division of Cactus Communications, Editage was set up in April 2002 with an aim to accelerate global scientific research communication. To learn more, visit https://www.editage.com/. Lynnfield, Massachusetts (USA) headquartered Crossref is an official Digital Object Identifier Registration Agency of the International DOI Foundation that aims to make research outputs easy to find, cite, link, and assess. To learn more, visit https://www.crossref.org/.